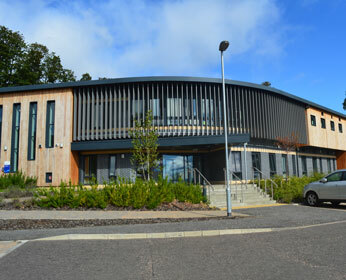 One of many NHS facility projects we have been involved in over the years, CAMHS provides excellent support and in-patient facilities to young people in the North of Scotland. 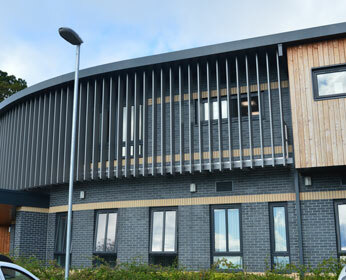 The building is split into 2 levels, and it is to the first floor, curved front façade that we provided a bespoke brise soleil solution. 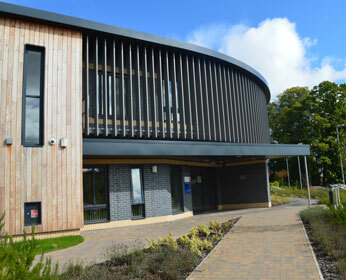 The requirement was to provide shading and help reduce heat gain to the communal rooms at first-floor level and incorporate a walkway system to allow access for window cleaning and maintenance. 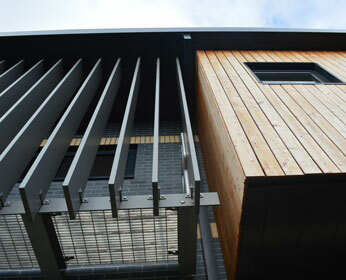 We designed a system of bespoke mild steel brackets and rafters, which would secure directly to the curved steelwork frame of the building, providing both a mounting position for the brise soleil fins and also a support system for the walkway. 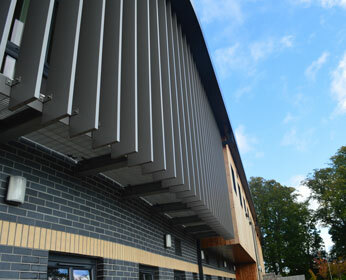 The Neaco Techdek walkway was installed on top of the installed rafters, facetted to follow the curved building line, giving a seamless appearance from ground level. 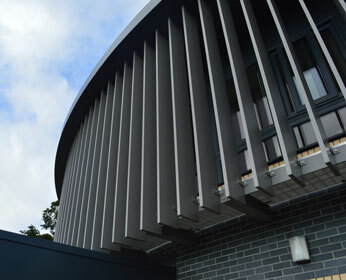 To provide a fixing location for the brise soleil fins, we installed a radiused aluminium facia plate between the rafters, creating a curved line to mirror that of the building façade. To this, we utilised a double bracket fix for each individual 300mm x 40mm aluminium fin along with a head bracket fixing located within the soffit above. The completed installation provided a solution in line with the architect’s vision, fulfilling the requirement’s initially set out. 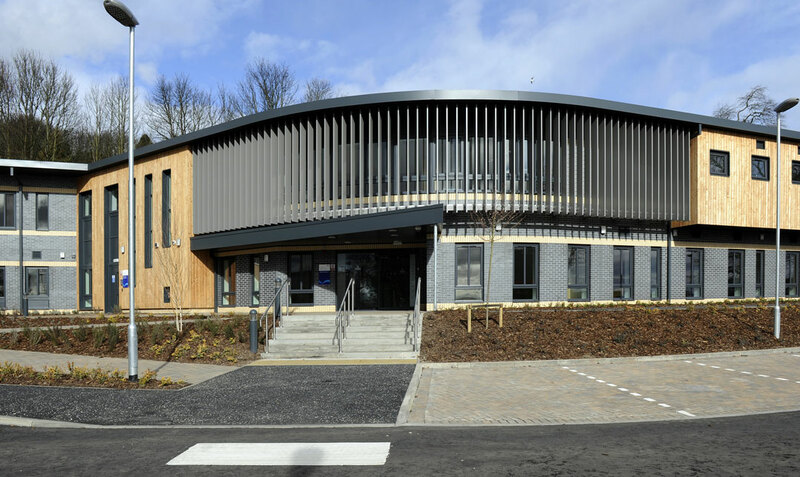 We feel the brise soleil contributes well to the overall aesthetic beauty of this building and are proud to have been involved in the development of such an important, and potentially life-changing facility.